Caterpillar Local Host Plant: Dioscorea glabra (Dioscoreaceae). 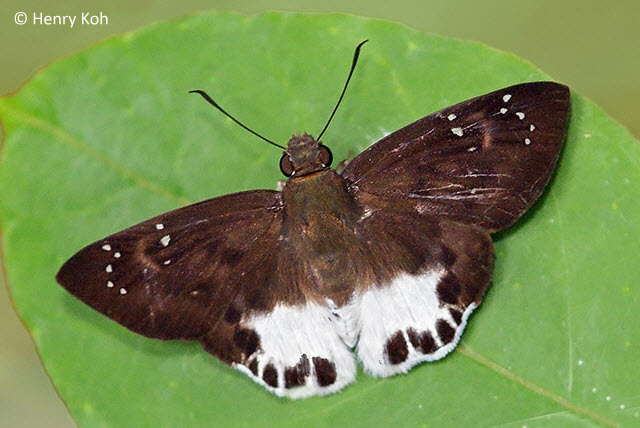 On the upperside, the wings are dark brown. 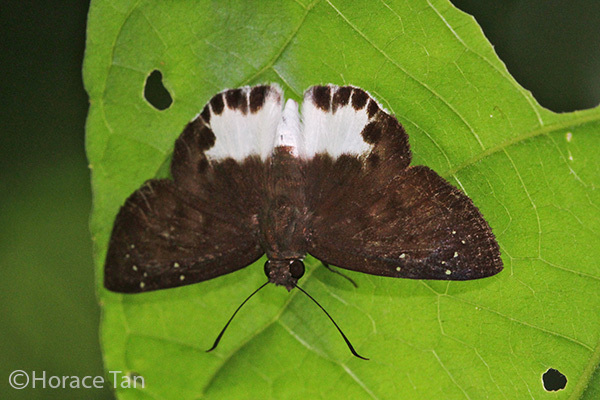 On the forewing, there is a white hyaline spot in each of spaces 4,5,6,7,8 and 11. The forewing cell features an upper spot, which usually accompanied with a smaller lower spot. 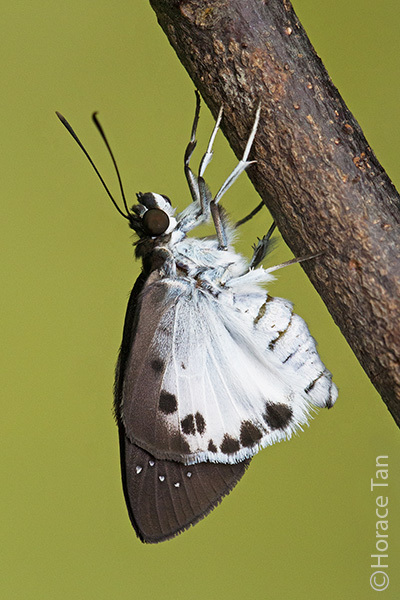 On the hindwing, there is a large white tornal area with its inner edge reaching vein 6. In this whitened area, there are black marginal spots at the end of veins 1b, 2 3 and 4. There are additional black post-discal spots in spaces 5 and 6, lying at the edge of the whitened area. 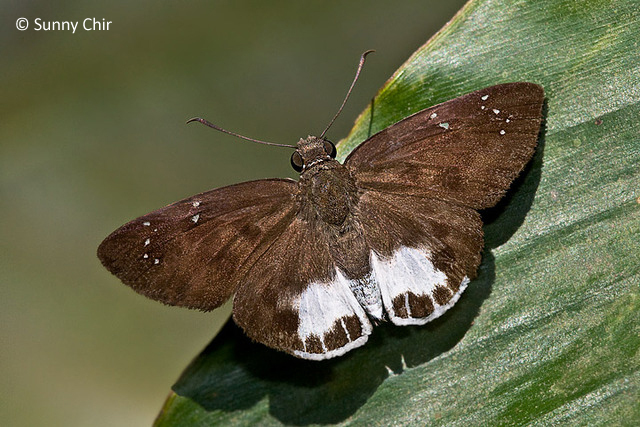 Underneath, the wings are similarly marked as per above but with the whitened area on the hindwing extended to the basal area. 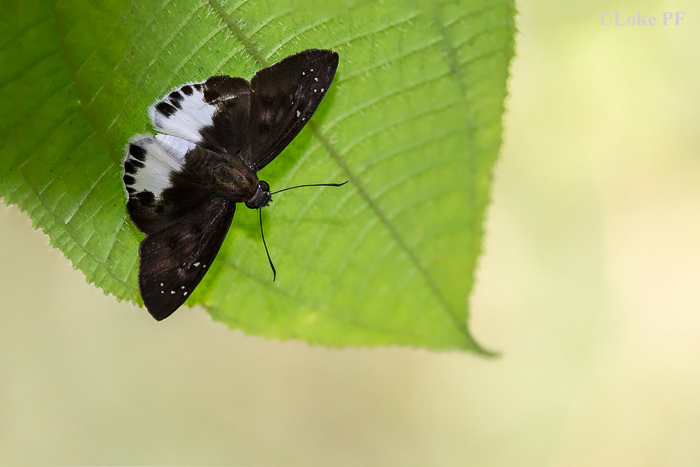 A Ultra Snow Flat perching on the underside of a leaf. 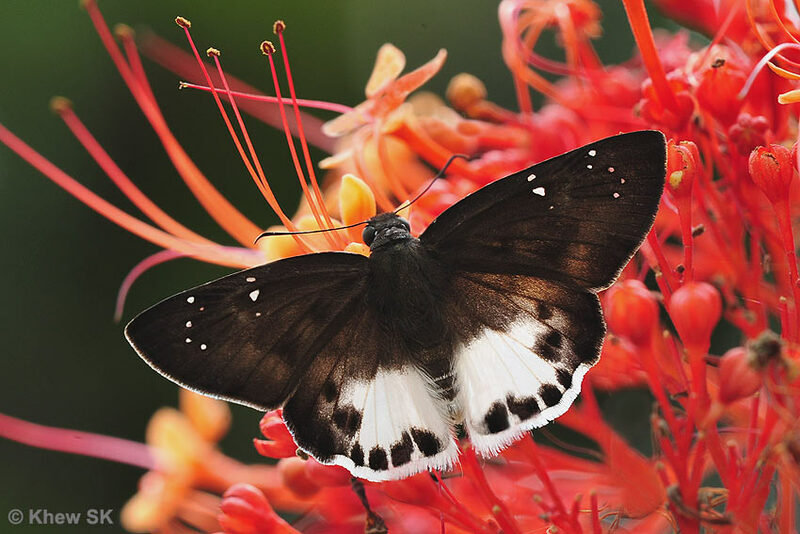 This species is moderately rare in Singapore and its distribution is restricted to forested areas of the catchment reserves and in western wastelands. The adults are strong flyers and are more active in the cooler hours of the day. 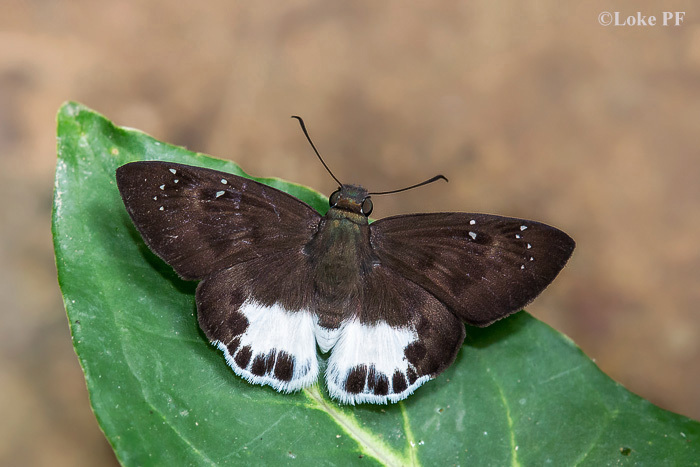 As is the case for the other Tagiades species, the adults have the habit of perching on the underside of a leaf between flights, and with its wings opened flat.